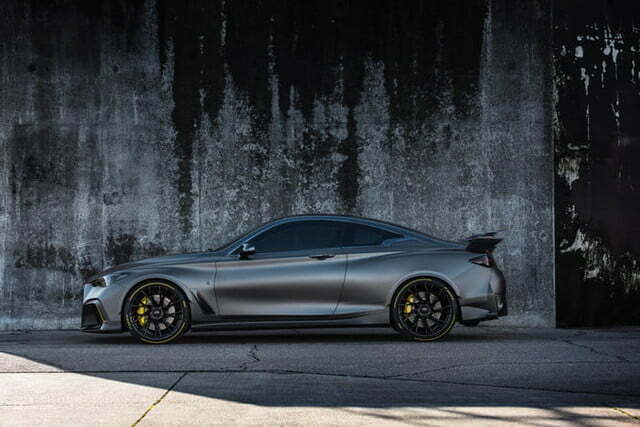 Topline: Infiniti has thought up some truly wicked concept cars in recent years, though it's never decided to truly follow through with building them—the Nissan GT-R-powered Q50 Eau Rouge comes to mind, as does the Prototype 10 which debuted at Pebble Beach this year. Now, it looks like the same may come of the Japanese brand's latest concept: the Project Black S. Packed with real hybrid tech borrowed from sister company Renault's Formula 1 team, plus killer looks with aggressive overhangs to make a Lamborghini ponder its place, it's yet another banging concept that's destined for the cutting room floor. And that's disappointing. What You Need to Know: Just like the Renault R.S. 18 F1 car, the Project Black S touts energy recovery components that harvest electricity from braking (MGU-K) and spent exhaust gases (MGU-H) before translating it into usable horsepower. That juice is then stored in a 4.4-kWh lithium-ion battery pack, which sits where the rear seats normally would, and can then be deployed to spool the Infiniti's twin turbos quicker than you can cite Buzz Lightyear's famed catchphrase. Overall, this hybrid equipment works in tandem with a forced induction 3.0-liter V-6 for a combined output of 563 hp. That's enough to propel the admittedly hefty two-door, at 1,776 kilograms or about 3,900 pounds, to 60 miles per hour from a standstill in under four seconds. Furthermore, this is done by sending twist to the rear wheels only. This all means that the Project Black S has quite the intelligent mind to put every trick to use. It's got three driving modes—Road, Quali, and Race—which each have unique mapping and performance outputs to suit your applied style of wheeling. The latter of the three is the hottest tune of them all, telling you where more or less energy is needed. Other various styling bits have been inspired by or plucked from the R.S. 18 including the rear wing, a low-drag style fixture which is inspired by the equipment used by Renault Sport at the historic Monza circuit. Carbon disc brakes, sticky-compound Pirelli tires, and 21-inch wheels round out the ideal package which, for now, remains purely as a concept. Quotable: Infiniti claims that all of its cars will be electrified in some way by 2021. 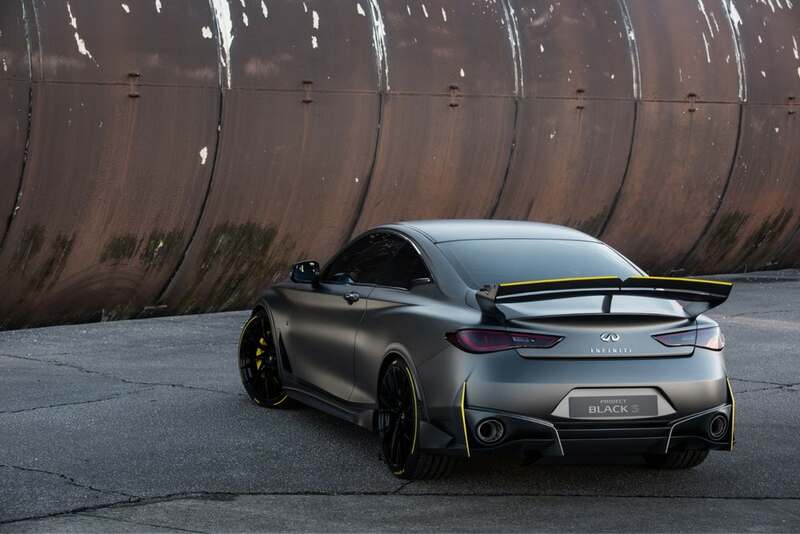 Building off of that, it explains that the Project Black S is a "potential performance flagship," but selling something this advanced would need to reach sky-high, price wise, for Infiniti to make sense of building it. Renault F1 boss Cyril Abiteboul says, “Making the leap from circuit to road is something we are incredibly excited to be involved in,” however, it all looks to be hopes and dreams; at least that's how it's shaking down on this end of the table.